Wilfried Zaha is giving some serious consideration to changing his international allegiance from England to Ivory Coast — but not in time for the Africa Cup of Nations in the new year. 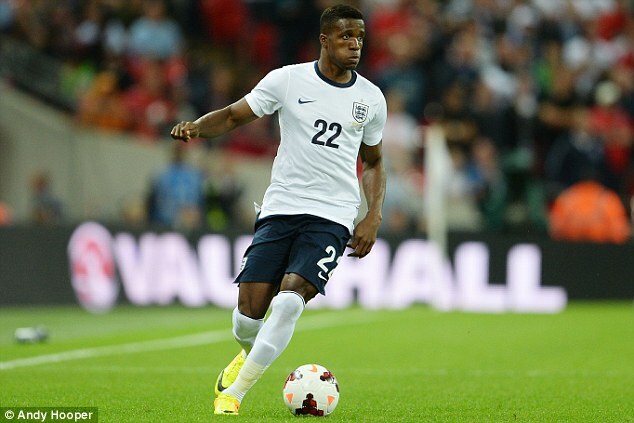 The Crystal Palace winger has played in two friendly games for England — against Sweden in 2012 and Scotland in 2013 — but he has not played in a competitive senior game and therefore can switch countries.Zaha made two appearances for the Under 19s and played 13 games for the Under 21s. He was in Stuart Pearce’s squad at the 2013 European Under 21 Championship in Israel but sources close to the national team were disappointed by the winger’s attitude and body language. 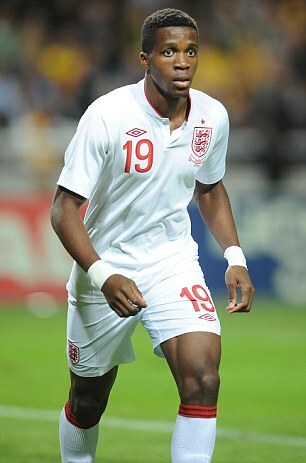 Zaha, 24, was born in Ivory Coast but his family moved to England when he was four. He grew up in Croydon before joining Crystal Palace in his early teens. After breaking into the first team in 2010, he made a £10million move to Manchester United in 2013 and was immediately loaned back. An unsuccessful season followed at Old Trafford and he returned to Palace in August 2014 on a season-long loan, before rejoining permanently last year, since when he has regained his form. Sources close to Zaha confirmed to Sportsmail that the Crystal Palace winger is now thinking about making himself available for Ivory Coast. However, they stressed that if he does change, it would almost certainly be after the Africa Cup of Nations. Zaha has reportedly turned down approaches from the country of his birth before. Prior to the 2013 Africa Cup of Nations, Ivory Coast striker Didier Drogba was said to have made a personal phone call and the president of the Ivorian federation Sidy Diallo also made contact. Ivory Coast remain in close contact with Zaha and are keen to push through the change. The process remains very much in its embryonic stages and a FIFA spokesperson confirmed to Sportsmail that the world governing organisation has not yet been notified. Zaha would have to submit a written request to the office of FIFA general secretary Fatma Samba Diouf Samoura, who will then make a decision. The FA declined to confirm if discussions had taken place or whether they will try to persuade Zaha to remain with England.